The Classical Sicilian is one of Black's most popular and highly regarded opening choices against 1 e4, and it's been a favourite of such greats as Vladimir Kramnik, Alexei Shirov and Vishy Anand. White has a number of aggressive ways to battle against the Classical: the fashionable Richter-Rauzer Attack; Bobby Fischer's favourite, the Sozin Attack; and finally the wild Velimirovic Attack, and no work on the Classical would be complete without a study of these fascinating variations. 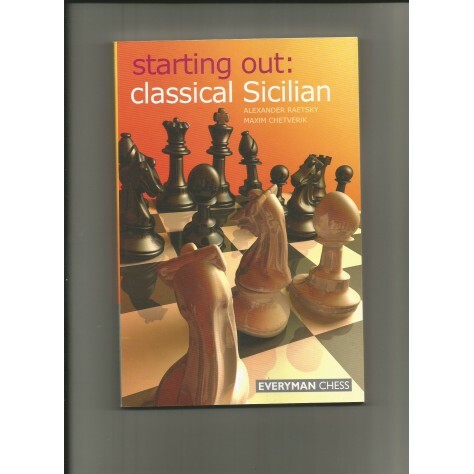 In this book, Alexander Raetsky and Maxim Chetverik revisit the basics of the Classical Sicilian, elaborating on the crucial early moves and plans for both sides in a way that is often neglected in other texts. The Everyman Chess Starting Out series has firmly established itself as the leading guide to studying openings for up-and-coming players. These books are distinguished by their easy-to-read layout, the lucid explanations of the fundamentals, and the abundance of notes, tips and warnings to help the reader absorb vital ideas.